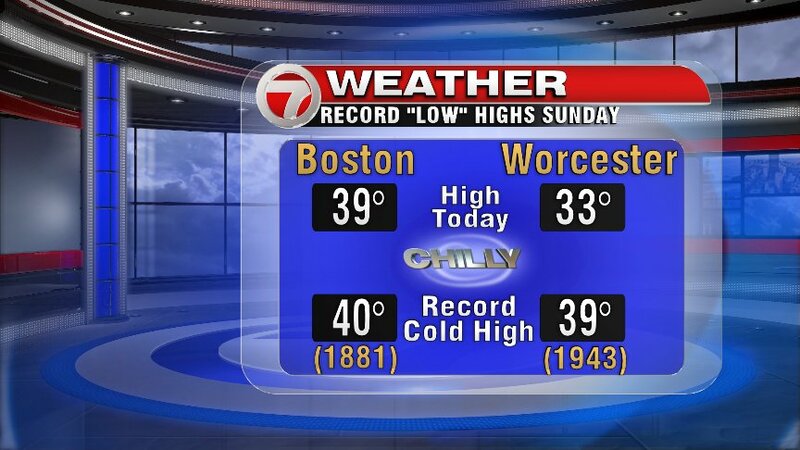 Not the kind of record we’d expect to set in the middle of April, but new record “cold” highs were set for both Boston and Worcester today. Actually, Worcester made it to a high of 34° just after midnight last night (a correction to the graphic you see below)… still, COLD. It’s the return of winter, and if you were out at all today, you know that very well. But the marathon must go on… despite the fact that we will see a soaking rain all. day. long. 1-2″ of rain will have fallen by the time we dry out tomorrow evening (around 8-9pm). I do believe Boston can hit 50° as a high temp tomorrow, but it will take all day to get there. The last of the runners may be finishing by the time that happens. Unfortunately, this is a wind-driven rain as well. Winds will be out of the ENE for most of the day, and turn to the ESE for the later afternoon hours. Gusts could get to 40-45mph at times. With the onshore winds, there is some concern for the coastline. A Coastal Flood Advisory has been posted by the National Weather Service for Cape Ann & the North Shore tomorrow, from 10am-2pm for the mid-day high tide. 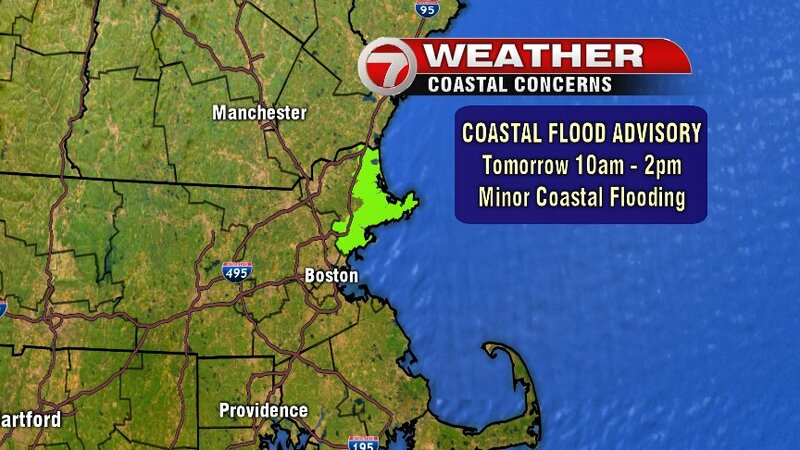 Pockets of minor coastal flooding expected.